Popular Cholesterol Drugs Get New Warnings About Memory, Blood Sugar : Shots - Health News Statins may also increase the risk slightly for high blood sugar and for developing Type 2 diabetes. People have also complained about memory loss and fuzzy thinking while taking the cholesterol-fighting drugs. Now the Food and Drug Administration wants that information added to the drugs' instructions. If you take a cholesterol-lowering drug called a statin, there's some new safety information you should know about. A statin might be why you're having trouble remembering things or have been feeling confused, or at least that's what quite a few people taking the drugs have been saying. So the Food and Drug Administration says new instructions for the drugs will now mention those potential side effects. See your doctor if you have them. Stopping the drugs — which include Lipitor, Crestor and Zocor — usually solves the problem. 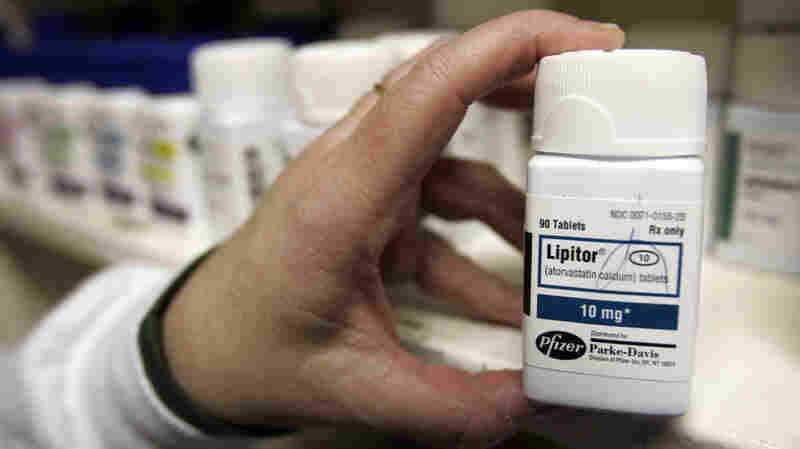 The statins may also increase the risk slightly for high blood sugar and for developing Type 2 diabetes, the FDA says. That information will be part of the label for the drugs, too. Last year, an analysis in JAMA of published studies on statins characterized that risk this way: To see a new case of diabetes, 498 people would need to be treated with a high dose of statins for a year. By contrast, to prevent one serious cardiovascular problem, such as a heart attack or stroke, just 155 people would need to be treated with high-dose statins for a year. This new information shouldn't scare people away from statins, the FDA says. "The value of statins in preventing heart disease has been clearly established," says Dr. Amy G. Egan, deputy director for safety in FDA's Division of Metabolism and Endocrinology Products. "Their benefit is indisputable, but they need to be taken with care and knowledge of their side effects." And, the FDA had some good news in its labeling update. There's no need to have regular liver tests if you're taking a statin, because liver damage is so rare. So that long-standing recommendation can come off statin labels, the agency says. Instead, get your liver enzymes checked before you start a statin and then tell your doctor if you suddenly feel fatigued, lose your appetite or show signs of jaundice, such as yellowing of the skin or whites of your eyes. "I think it's all pretty responsible," Dr. Jack Lewin, CEO of the American College of Cardiology, tells Shots. Cardiologists are well aware of the issues, and the changes to the drug labels are a bit of catch-up, he says. "What's really amazing about statins is the relatively low incidence of side effects," he says.